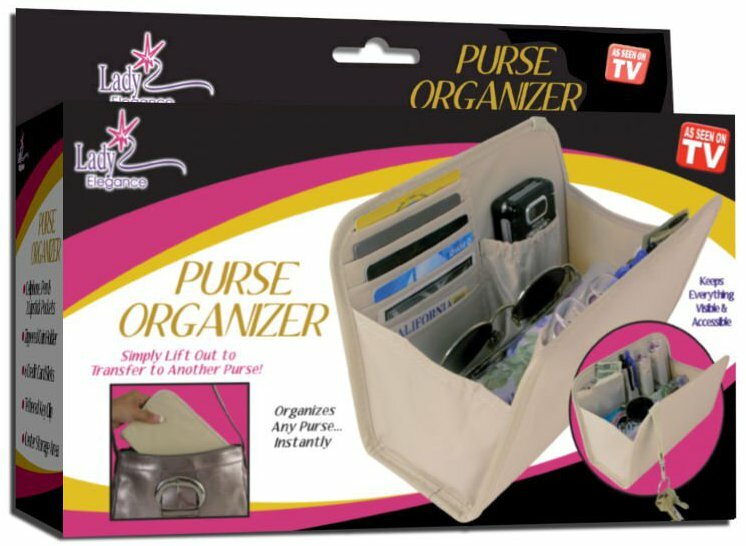 Handbag organiser is at first glance a liner with lots of tidy pockets and pouches to keep your hand bag organised. But let us take a closer look. 5.24 in x 9 in x 3.24 in 13.3cm by 21.6cm by 7.6cm it is roomy, and designed to slip comfortably into medium to large handbags, and be removed and moved along with all your stuff. Beige woven canvas like polyester sides are firm yet flexible, pockets and pouches strong yet yielding. To your right we have a mobile phone holder, big enough for a smart phone, space for six credit or debit or store cards, and a handy key holder. If you were to design your own handbag you would want all these pockets included. Now with handbag organiser you can have these handy storage features AND move them between bags. Along with all your essentials. Handbag Organiser text, images and video are copyright.